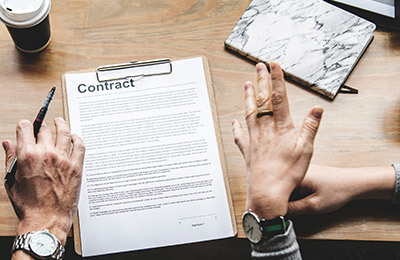 Drafting and negotiating indemnification provisions in construction contracts is not something that can be learned in law books. It takes years of experience to develop the necessary skills needed to ensure your clients are fully protected. In this full-day focused legal course, experienced construction attorneys will equip you with practical skills you can start using right away to provide maximum protection to all participants in the construction process. Whether you represent contractors, subcontractors, design professionals or owners, this unique course will provide perspectives from all sides of the table. Dig deep into the ins and outs of indemnification provisions in construction contracts and gain years of experience in just one day - register now! Better maintain enforceability and insurability of indemnification provisions. Learn key contract and subcontract provisions, including AIA and Consensus docs. Discover which laws apply to indemnification provisions and how to use them to your client's advantage. Identify key considerations in drafting indemnification provisions to ensure prevention of future disputes. Review sample indemnification provisions in construction contracts. Gain practical strategies for negotiating indemnification. Learn tips for proving liability. This is a rebroadcast of the original webcast delivered by Mark R. Becker and John A. Snow on December 8, 2016. Faculty will be available to answer your questions after the program. Proving Who's Responsible: Architect? Engineer? Designer? This program is designed for attorneys. Paralegals and insurance professionals may also benefit.